The National Science Foundation (NSF) recently renewed a grant, which will help The Ohio State University and its partner institutions expand the percentage of underrepresented and minority students majoring in STEM fields. 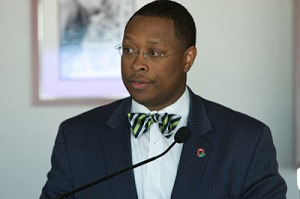 The other Ohio-based institutions that benefit from the grant are Central State University, Columbus State Community College, Cincinnati State Technical and Community College, Miami University, University of Cincinnati, Cleveland State University, Sinclair Community College, Ohio State University, Cuyahoga Community College and Wright State University. The grant, which was first award for $3.5 million in 2013, is predicted to expand to $4.5 million over the course of five years. This grant supports the Ohio Louis Stokes Alliances for Minority Participation program, or Ohio LSAMP program, and is the largest award ever donated to Ohio State’s Office of Diversity and Inclusion, according to Ohio State News.